Clouds chased by winds aloft are lit by a bright half moon as night falls the week before summer solstice. 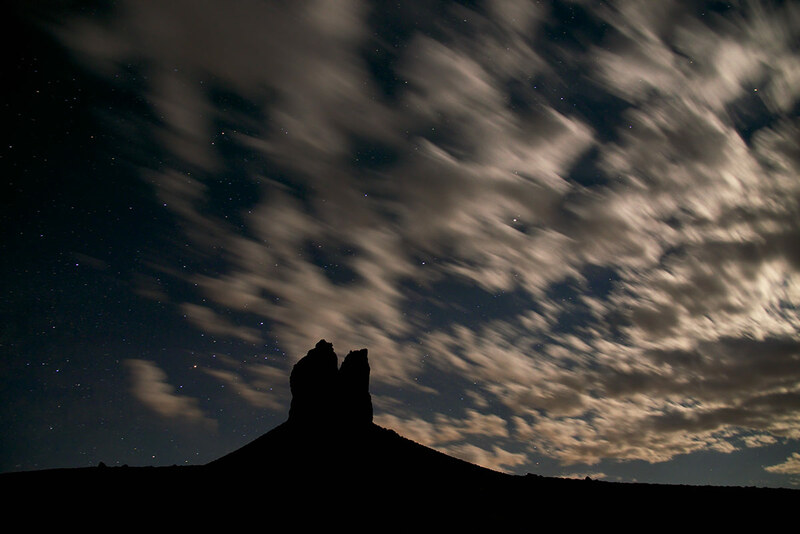 The Boar's Tusk in silhouette is a geologic marvel and sacred place in the northern Red Desert. The Boar's Tusk is a volcanic monolith that rises 400 vertical feet above the sagebrush desert in the Killpecker Sand Dunes WSA area. Sweetwater County, Wyoming.
. Photo © copyright by Dave Showalter.